New Music Tuesday! Check and download the latest set from Dirty South! On July 4th he took over the decks at AVALON in Hollywood for an extended 4 hour and 44 minute set and is giving it out exclusively as a free download. Dirty South takes you on a proper journey as he drops everything from essential house classics to unreleased material including a preview of his new upcoming single “Find A Way” set for release on August 24th. So what are you waiting for, time to turn up the speakers and listen up! 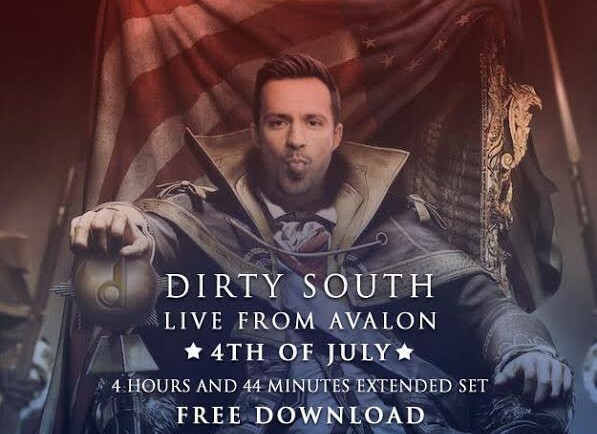 Check out Dirty South LIVE from AVALON!